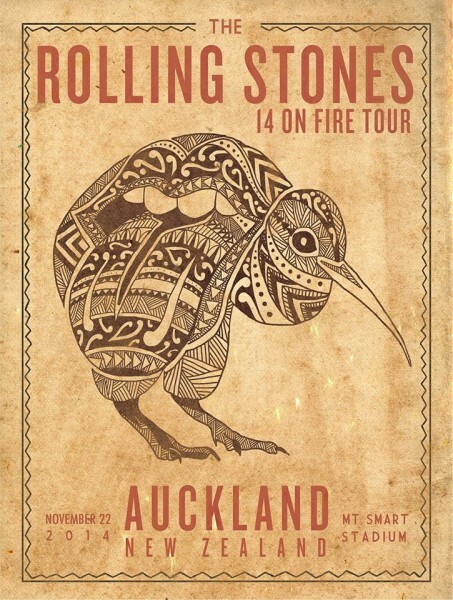 This thread is for live updates and comments regarding The Rolling Stones performance at Mt Smart Auckland New Zealand 22 November 2014. Please tell us your pre- and post-show thoughts and comments here. SHOW TIME: The Rolling Stones will be on stage shortly after 8pm. There is a warmup act, expected on stage at 7pm. Auckland is 12 hours ahead of Central European Time, 13 hours ahead of UK time etc. Edited 1 time(s). Last edit at 2014-11-22 02:07 by bv. It is with tears in my eyes and pain in my heart I am preparing for the final show here in Auckland New Zealand tonight. I knew this day would come. Like all all of us, friends, fans, Stones followers all over the world, I have been ignoring the facts that have been there for a long time. When the final bow is over tonigh, it may be over. So thanks to the Rolling Stones for all the great shows, let us keep this thread about the Auckland show, then we can spend the next days, weeks and months ahead of us talking about the future. Edited 1 time(s). Last edit at 2014-11-22 03:26 by EddieByword. Very excited for this incredible moment in history. I wish all a fantastic time!!!!!!! Special feeling with what could be the final bow. Everyone, have a great time for all of us! hope you all have a good time in my home city.cant wait to read all about the show. BV you know it's not over! Have a great show ! Would the Stones let this be the last show without it being fully filmed? BV and all in NZ, enjoy tonight as if it was the last time...may every song you sing be your favorite tune!!! Yes enjoy the show everyone...it doesn't feel like the last time, does it? I think poor MJ needs a break. An incredibly difficult year. Work has kept him busy and distracted; just needs some time to grieve/reflect/recuperate. They'll be back, and with a new album, with Mick Taylor. Don't get too sentimental on us yet Bjornulf! It ain't over till the fat lady sings and I don't think she's in New Zealand. I think they will play one huge, possibly free show somewhere soon (while the band is tight and the ducks haven't flown the pond). Something to go out with a bang, on top of their game. I have also thought they might play a smaller show somewhere in England where it all started out for them. But if this really is it, I applaud them for putting on such a great tour. Edited 1 time(s). Last edit at 2014-11-22 07:05 by Naturalust. It's not over by a long shot. 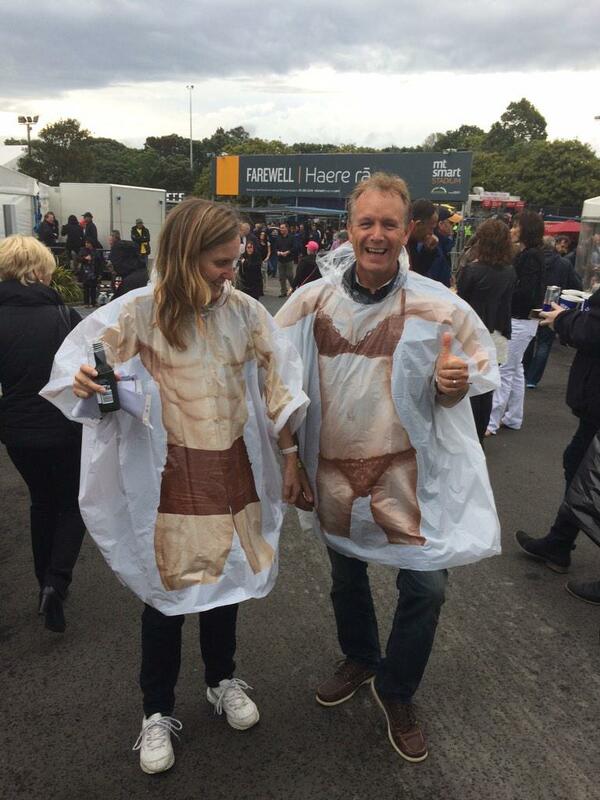 No disrespect to our Kiwi friends, but NZ isn't the place nor time for a final bow. When it is time, they will go out with a bang. Lost and found. Money,Love,Time, Those things can come and go it seems. But Rolling Stones music--- as it has been so it shall be. Who knows what lies ahead. Do tell. For now though let Rock Rule the Day. Start me up baby. One more time. Ladies and Gentlemen--- You know the rest.
. These words are unexpected. Yes, it can be, even if I think that there will be something more in london or ny. Unless (and now i am becoming too analytic),i say unless , people like BV have better informations or rumours about for example , health issues... Anyway, time will tell. Thanks to all of you and especially to BV for all these incredible work in Australia and nz. And thanks to the rolling stones. It worthed every second to be a fan. Have a great show, you all. With you in spirit. Send all our love and thanks to the greatest rock 'n' roll band in the world - ever. Have a great time, enjoy the show! Newly awakened. 06:45 here in Sweden. 15 minutes to go. Have a great experience everyone there. Colonial, BV et al. I wonder which tune they are going to start with? Colonial Boy, maybe? There will be more. Be patient. Trust me the Stones are in talks for SA and NA tour as we speak. Something should come of this. Stoneage the Stones will be on 8pm NZ time. Edited 1 time(s). Last edit at 2014-11-22 08:20 by rbp. Given Colonial Boy is an Australian song, I highly doubt it would get a run in NZ...AND I WOULDN'T have wanted it here either! Infos about the Mount Smart Stadium in [en.wikipedia.org] as well as on [www.mtsmartstadium.co.nz] . Edited 1 time(s). Last edit at 2014-11-22 09:10 by Irix.